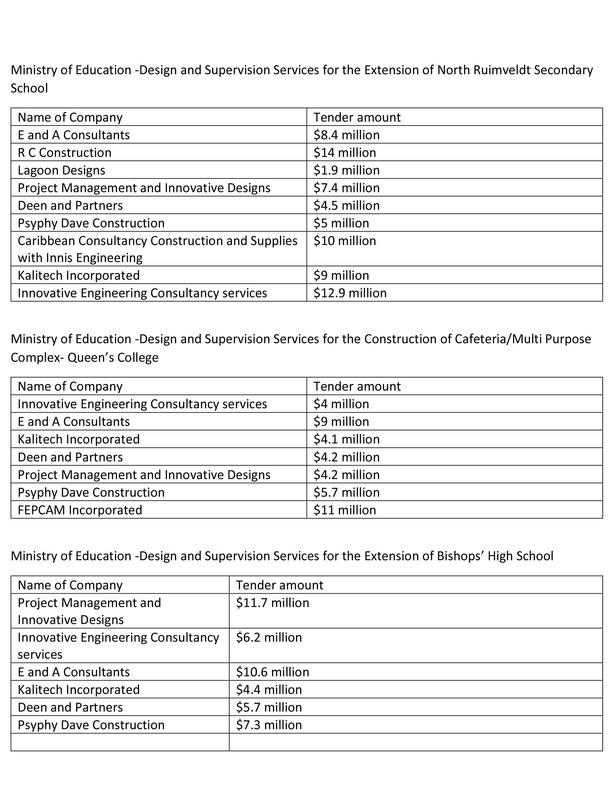 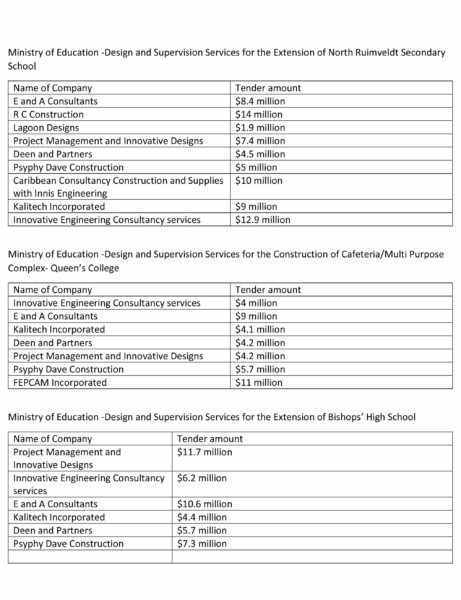 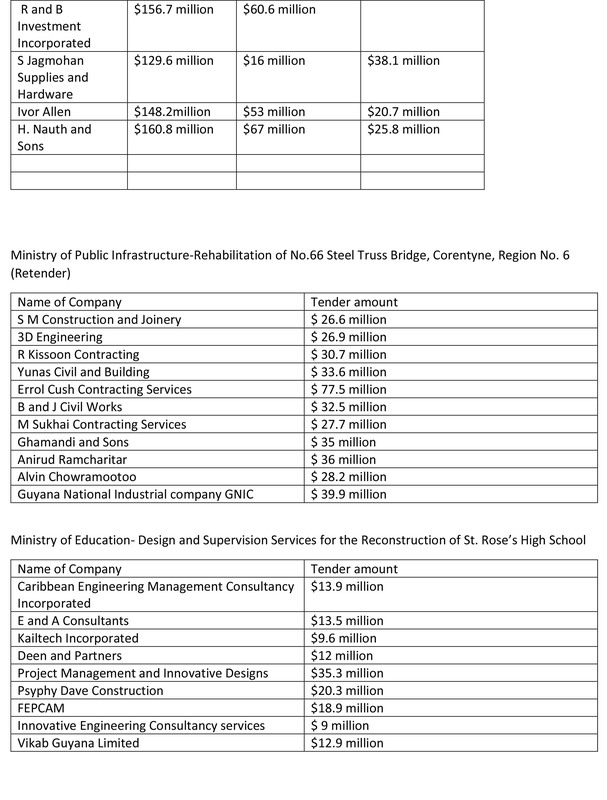 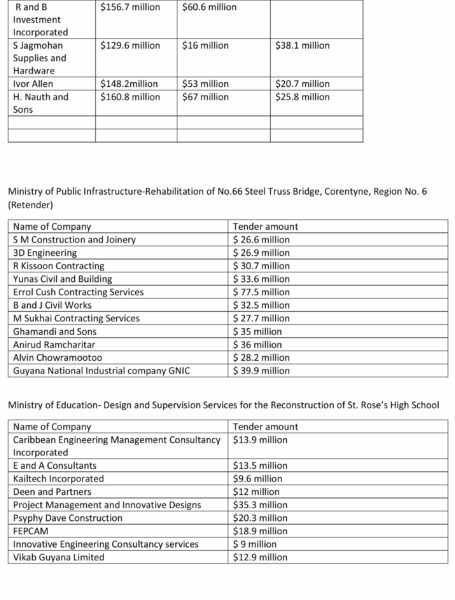 Multi-million dollar tenders were opened on Tuesday for major school works and other projects. 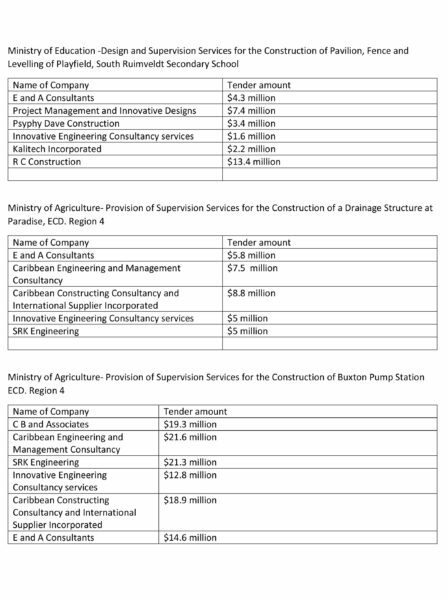 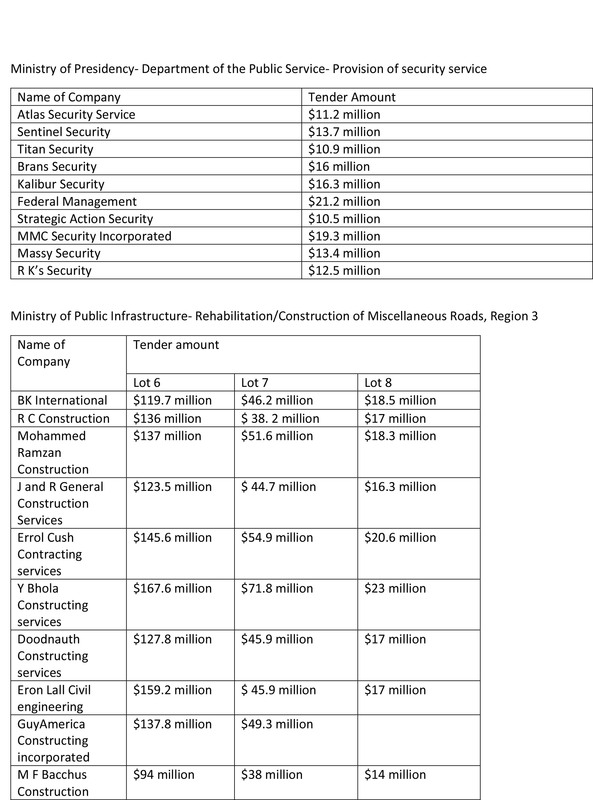 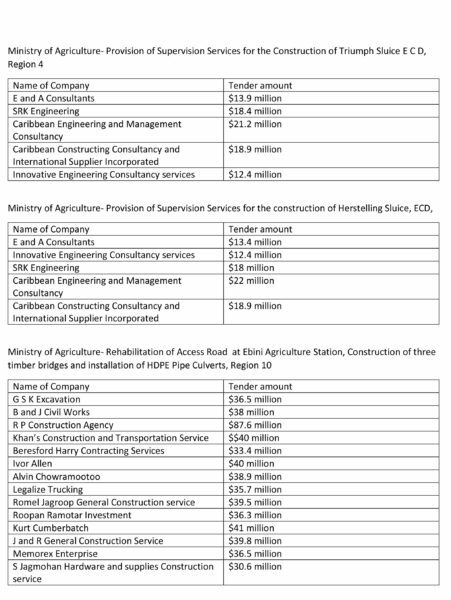 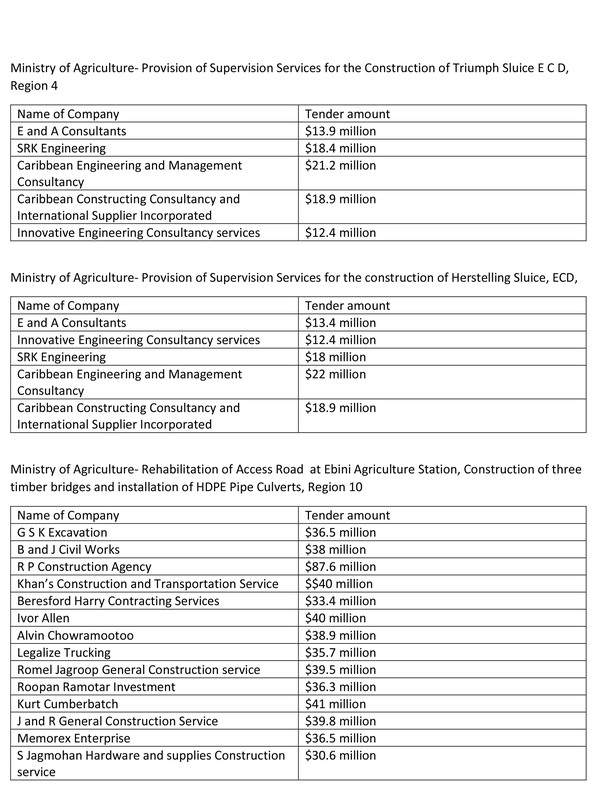 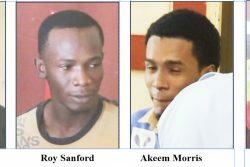 The bids, divided into twenty lots, were opened at the National Procurement and Tender Administration Board (NPTAB), Ministry of Finance compound. 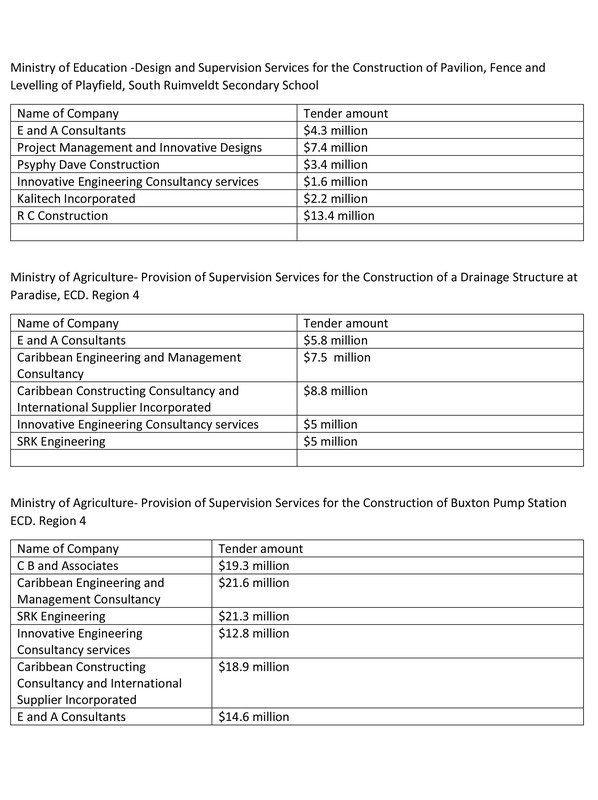 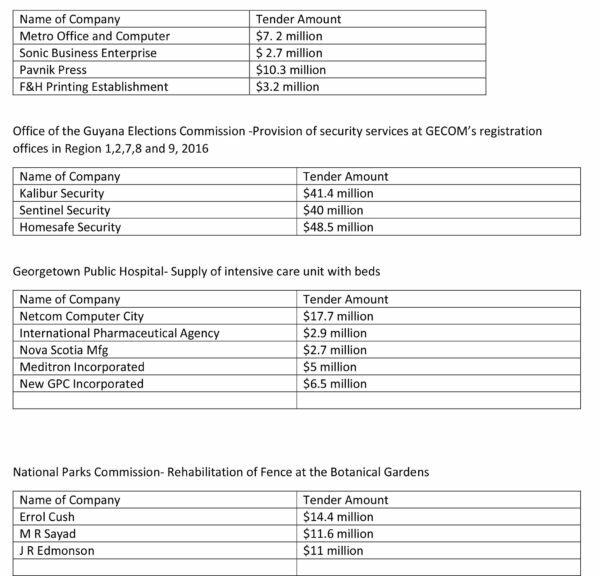 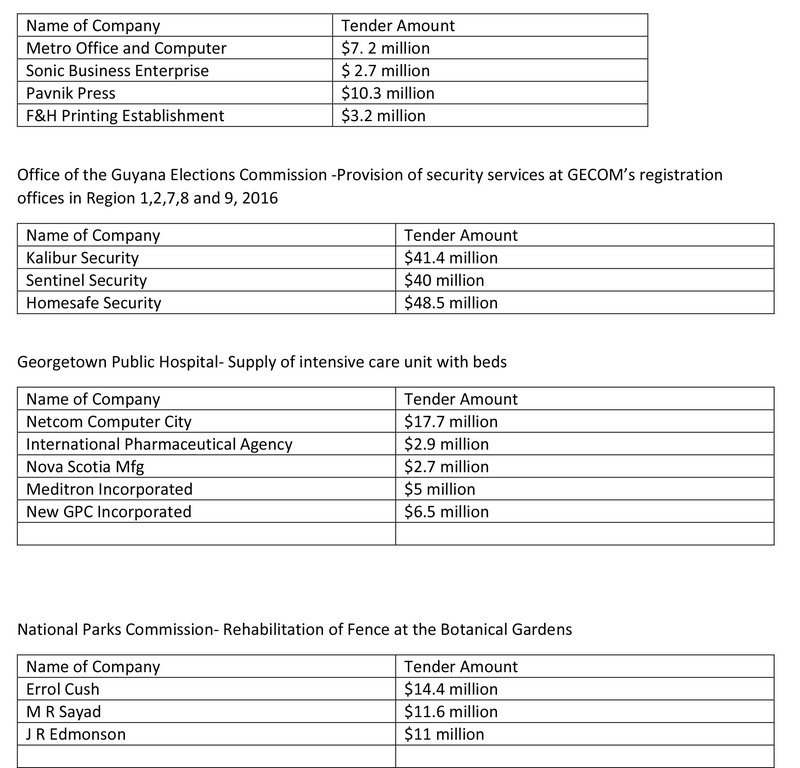 The names of the companies and their respective bids are shown in the table below.